Dust is a constant problem in a household where everyone is coming and going non-stop. This little guy will sweep around and take care of all that for you and you have less to worry about. Dimensions 9.06 In. X 9.06 In. X 33.47 In. Good price for product. I ordered the vacuum as a Christmas gift. I was rather disappointed when the vacuum arrived because the packaging and box the vacuum came in were both damaged. Luckily when I tested the vacuum it seemed to work properly. It’s rather on the loud side and is smaller than others. But even with these quote issues it served its purpose. 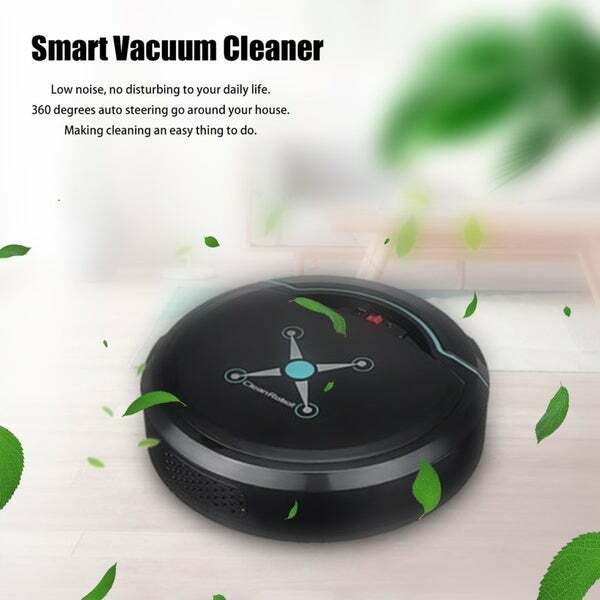 It’s not great if you’re looking for something to all your vacuuming but it’s something to clean up in between your vacuuming schedule. this was purchased for my oldest daughter she had been wanting something to help keep the dog hairs from going everywhere in her house so this was very helpful to her she doesn't have to sweep all day long. Very disappointed with this vacuum. I didn’t expect much because of the price but it doesn’t move no instructions. The box was all in Chinese. Would not recommend it. Would like to return it. I would not give this any stars. product did not move at all. most of the reviews about this are true . product does not work. it size would of been ok for small apt. shipping and arrival were good. packaging was ok. instructions are only in Chinese. No brushes to pick up dirt, did not move on its own. No motorized wheels. Sent it back as soon as I could. No instructions in English. cuz I'm lazy and cheap. I need a vacuum , dont want to. spend alot. vacuuming gives me a back ache. I just hope it works even just a little bit.